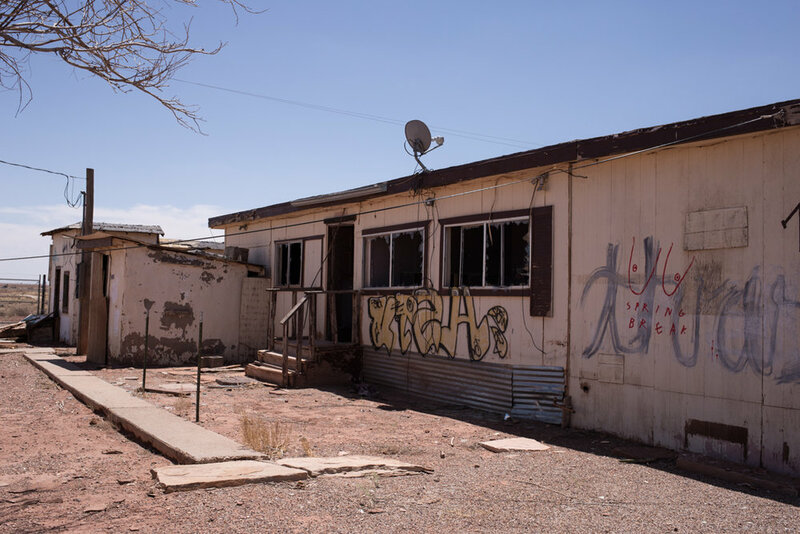 Along Route 66, In between Flagstaff and Winslow, Arizona and after Twin Arrows and Two Guns is another abandoned trading post, Meteor City. Meteor City, named after the nearby Meteor Barringer Crater, has been a stop along the Mother Road since it first opened as a Texaco gas station in 1938. 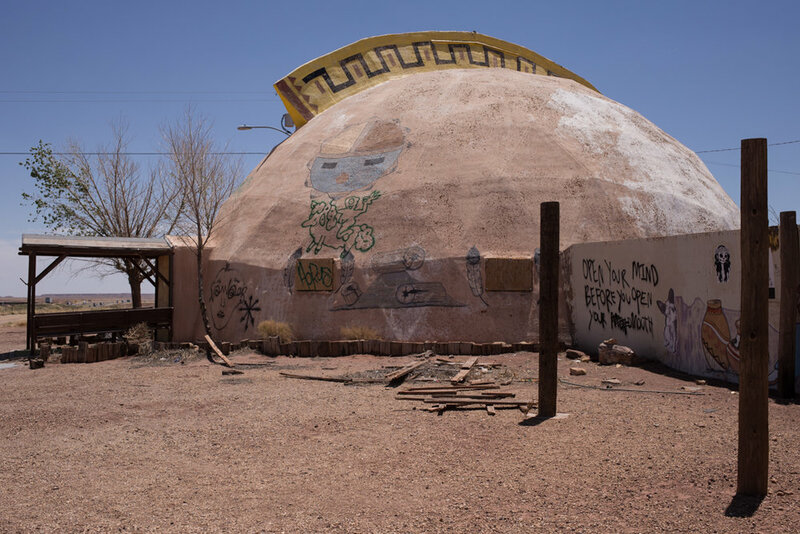 The original geodesic dome was built in 1979 and the post was once home to the nation’s largest dream catcher and a 100-foot map of Route 66. 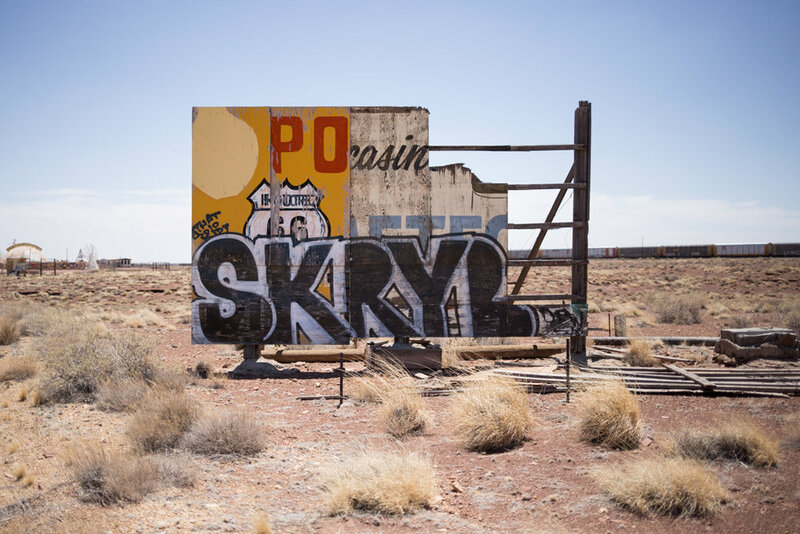 I was frequently pulling over on our trip to photograph weathered and decaying billboards, but the three leading the way to Meteor City were some of my favorites. Meteor City—more than any of the other trading posts that we visited—made me wish that I could go back in time and see it during its glory days. The dream catcher is in tatters, the map is long gone and the name is barely visible underneath a load of uninspired graffiti. In 1990, the original Meteor City dome burned down and was replaced by the structure that stands today. It was then briefly shut down in 2001 and new owners painted over the map of Route 66 in the early 2000s. The trading post was put up for sale for $150,000, but no buyers were found. 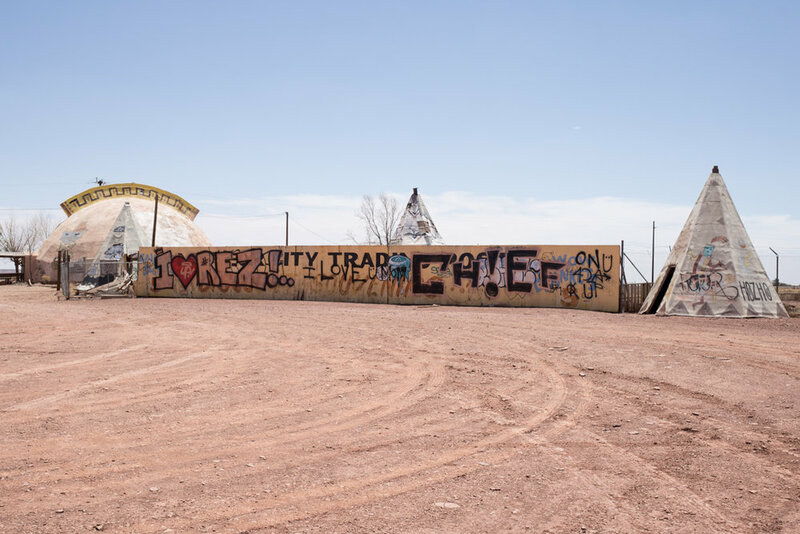 In 2012, like so many other once-thriving businesses along Route 66, Meteor City was abandoned. In March of 2017, Joann and Mike Brown purchased the property and began the slow process of cleaning up and protecting the site from vandals with the hopes of eventually revitalizing and reopening the post. We didn't see much evidence of Meteor City coming back to life when we visited in June, but I'm glad that such an iconic piece of Route 66 history has been saved from demolition, at least for now.